If you are like me, you find the first one or two snow days of the year magical and then you start to dread them because “I am bored” becomes the most popular phrase you hear on snow days. 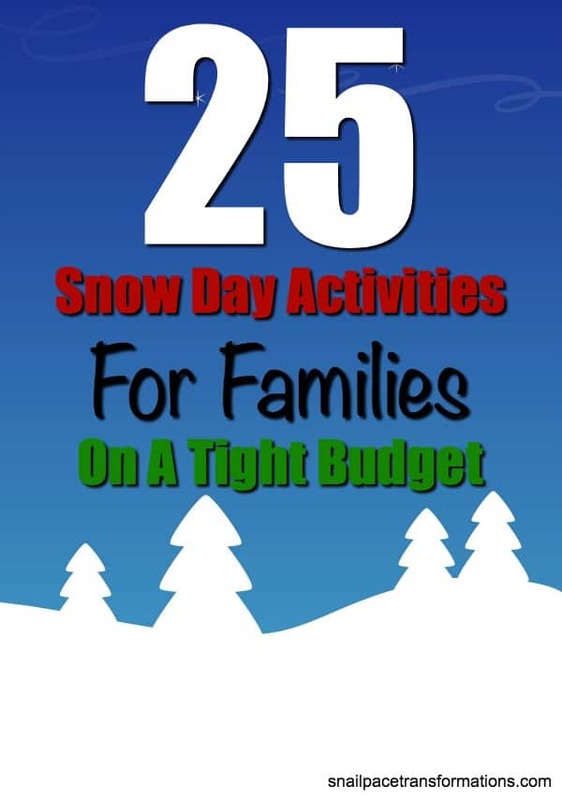 If that sounds about right, here are 25 snow day activities for families on a tight budget that can help rid you of snow day dread. I made a printable version of this list that you can use to refer to the next time a snow day hits. You can get yours here when you sign up for my weekly email newsletter. 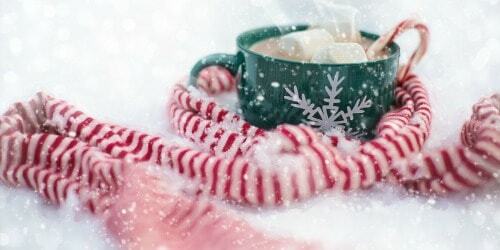 I made the list a checklist so that your family can use it like a snow day bucket list, checking off activities as you complete them. Of course, I don’t think any family should try to attempt all 25 over the course of one winter. Instead, have each family member pick one or two items on the list that they want to do, highlight those and check them off when you complete them. All the activities on this list are either free or very low cost–providing you already have basic winter supplies like sleds–making them wallet friendly. If you don’t have a sled, you can use a heavy duty kitchen trash bag in a pinch. I remember doing this a few times as a kid, and it did work although the inexpensive winter saucers or crazy carpets do work better–make sure to look for them at end of season clearance sales and stock up for next season. I have heard others say that a flat piece of thick cardboard also works in a pinch. If you have little ones, then making just one snowman all together is probably enough work, but if you have school-age children and you live in a neighborhood with other families with kids the same ages nearby, get the families together and have a snowman contest. Who can build the tallest one, the smallest one, the best dressed, the most unique, etc. Divide the family, and the neighbors too if they want to join, into teams and then set a few rules (no aiming for faces, etc.). Take some time as a team building your supply and planning your strategy and then let the snow war begin. 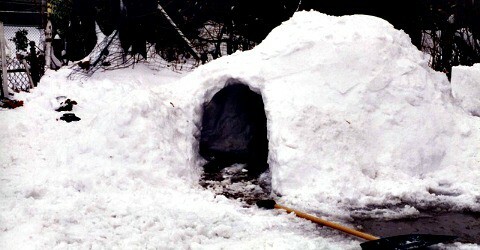 You can google “snow forts” and look at a few first, or you can just hatch out a plan as you go. Try to make one big enough to fit at least one family member at a time. When I ran a family day care the children that I cared for used to have so much fun on snowy days painting snow with simple spray bottles filled with water and a few drops of food coloring. Making snow angels without ruining them when you stand up is sometimes harder than you would think. 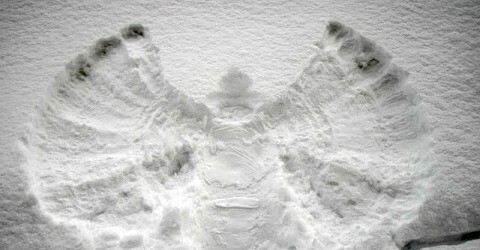 Try and see if you can make a family of perfect snow angels. Have fun with them, draw in halos and faces with snow paint (spray bottle filled with water and food coloring). Feeding the birds shouldn’t be just a snowy day activity, but a winter long one as birds do start to look for food where they found it last. However, it isn’t as expensive to stock a simple bird feeder all winter long as you might think. A large bag of food can last you all season if your feeding station is a small one. Winter bird watching is so much fun and also educational. Google the birds you find or purchase a good bird guide that you can reuse over and over for years. I am sure you have a few board games in your family collection already, but if you are looking for a few new suggestions I like how fun and straightforward the tenzi’s dice game . You can play with just two people or 10 or more–you just need enough dice. Your kids only have to be old enough to recognize the numbers on the dice at a pretty fast speed to play. Another family favorite of ours is UNO. Again it can be played with just two people or up to five. Our family likes playing with two decks at once to make each game last longer. Here is my simple 3 ingredient hot cocoa recipe. Whichever reason makes you want to stay in, a living room fort can be just as fun as a snow fort. To make it more wintery try using white sheets if you have them and make a few snowflakes to hang from its ceiling. To create a super cool fort find a string of Christmas lights to hang inside. Who says you have to have only family movie nights? Break that tradition and have a family movie afternoon instead. Make it memorable by doing number 10 on this list and then watching the movie as a family from inside the fort. Make a batch of caramel popcorn mix to enjoy while you watch the movie. Can’t find anything you want to watch on Netflix? Try Redbox. You can often find a free code through sites like Money Saving Mom or use gift cards earned through point programs like InstaGC and Swagbucks. 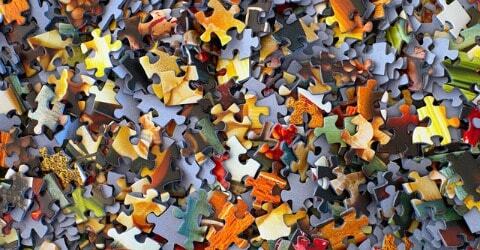 When my daughter was little, I used to stash a few inexpensive craft kits and puzzles on a top shelf for bad weather days when I knew she would be looking for something to do. I would find these items either on clearance at places like Target or at my local Dollar Tree. Hollar is another great place to look for such items. They often have good quality items for bargain prices–I have even found Crayola craft items and Melissa & Doug craft kits there for lower prices than anywhere else. Lay down a blanket in front of the fireplace and pack a picnic basket just like you would if it were summer time and you were heading to the park. During your meal start a bucket list of things you want to do when the warmer weather returns–here are 25 low-cost ideas to get you started. You don’t have to make Pinterest perfect snowflakes to consider this craft a success. All you need are scissors and some paper. It doesn’t matter what type of paper–even paper in the recycling bin is fair game. Simply fold a piece of paper in half and start cutting holes. Make a bunch and then hang them from the ceiling using string and masking tape, painters tape or even wrapping tape if that is what you have on hand. Make it snow in your home! Grab some blankets and a few winter reads and head to the couch, snuggle up together and get lost in a good book. There are homemade play-dough recipes all over the web. Surely you can find one that matches the ingredients you already have on hand. Homemade play-dough does dry out quicker than store bought, but is still just as fun to play with, and you don’t have to worry as much should your smallest child decided to eat a bite or two while you had your back turned for just a minute. Every child has to experience the fun of making and eating snow ice-cream at least once. Just make sure to grab your snow while it is still fresh. To be sure of its purity I like to put a bucket out while it is actively snowing to collect the snow we will use for the recipe. It also adds to the anticipation as you wait for the bucket to fill. Here is a recipe that uses ingredients most people will have in their cupboards already. This is another idea for when you just don’t want to or can’t go outside. 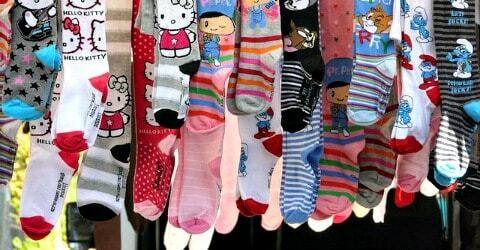 Grab up all socks in the house, pair them up, fold one inside the other until you have a snowball shape. Divided them up between those taking part in the snowball fight, set some ground rules such as no throwing snowballs near mom’s china cabinet and then let them lose to burn off some of that energy. Better yet–join in on the fun. I don’t know why, but homemade cookies taste even yummier when eaten with a cup of hot chocolate on a snowy day–especially when baked together. Here is our family recipe for snickerdoodles and dad’s cookies. I have not tried this idea, but it sounds like a great one for those who have kids preschool age and younger. I remember when my preschooler would desperately want to go outside and play, but their younger sibling was too sick to go out and the baby was sleeping. Rather than saying no, bring some snow in and place it in the bathtub and let them get on their snow gear and jump in and play with it there. They could drive their hot wheels in it, make snow castles out of it, and more all indoors with little mess since as it melts the watery remains would be washed down the drain. Another idea that would be a bit messier, but still works would be to get out the wading pool from wherever you store it during the winter and place it on a small tarp in your kitchen. Providing you have waterproof flooring any mess it makes could be easily wiped up. Enter “free winter coloring pages” into the Pinterest search bar, and you are going to have dozens of excellent winter coloring scenes you can print out for free. 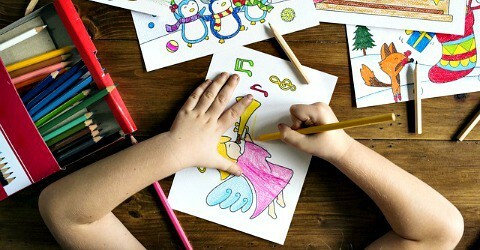 Spread them out on the table along with crayons, felts, and pencil crayons. Take a minute to find some good music or an audiobook to listen to and then invite the family to join you at the table. Psst…did you know My Reader Rewards (once called Tyndale Rewards) often offers Adventure In Odyssey Books On CD for as little as 75 points? If you are at all like me you have one bag of marshmallows shoved way back in the cupboard that you bought during the summer S’more season and then you forgot about them–until I just reminded you about them. Dig them out and let the kids make marshmallow snowmen with them. They can hold them together with toothpicks or pretzel sticks. Those same two things can become arms and the eyes can be chocolate chips or raisins. Just think creatively as you raid the cupboards for items to decorate your marshmallow snowman. Trust me, you have what you need on hand. Here is a simple recipe for puffy paint using ingredients most people might have in their kitchens. Make up a batch and encourage your kids to draw you a winter scene. If you have a roll of art paper or brown parcel wrapping paper cut a piece as long as your table and work together to create a winter mural. With just a Kool-Aid packet, sugar and water you can make up a batch of snow cone syrup using this recipe. 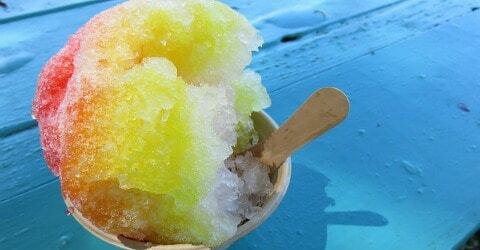 Gather up some freshly fallen snow and pour the cooled snow cone syrup on it and enjoy. Turn your snow day into a day of learning with this simple snow science experiment. You are welcome! And thanks for pinning.